How likely are you to recommend Nora Wendel? Nora (& Peter) are the consummate professionals. So easy to work with. Sold our house quickly and priced it well. 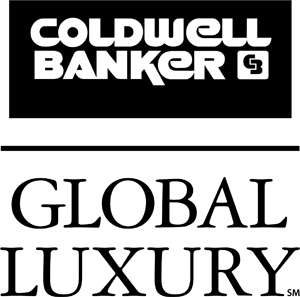 Definitely some of Coldwell Banker's best. No need to ever work with anyone else. In this area where everyone and their sister has a RE license, Peter is a true professional. He has mastered his craft and knows the area and the market exceptionally well. He found us our perfect home (before it was on MLS), and listed and sold our two other houses. He made the process effortless. I would always use Peter for any listings. "Strongest recommendation both for selling and buying homes"
I truly respect Peter as a real estate professional. Having used Peter both to buy and sell homes for 25 years, I admire his knowledge of the Westside market, as well as his patience in making deals happen. I have always felt Peter has negotiated excellent deals, knowing when to push for more and when to accept an offer. He also recently secured a luxury condo for lease for my parents and I commend him for very hard work on a lease that did not make him a lot of money. That really shows his integrity. Peter gets my strongest recommendation both for selling and buying homes. -Sold a Single Family home in 1996 for approximately $500K in Santa Monica, CA. He's the very very best. No payment, helped 3 times figuring out rental amounts. I sent him a check, which he'd earned. He wouldn't take it. Then he sold my place in Santa Monica. Thoughtful. Easy. Fast. So clean & calm. I will hire him again. Astonishingly reassuring in a trying time. I worked with Nora to buy our last house and couldn't be happier. We had a great time working together. She was wonderful through out the entire process. She really cared about what was best for our family. Nora is one of the best in the industry. -Bought a Single Family home in 2010 for approximately $1.125M in Sherman Oaks, CA. 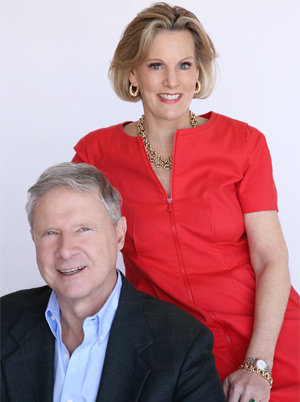 "Hands on from beginning to end"
Nora and Peter Wendel were both supportive and efficient when they sold our house. We signed the listing papers and then went on vacation, trusting them to take care of everything, and they did. They held an open house while we were away and we had an offer on the house before we returned from vacation. There were difficult questions that came up, but they took care of them. We just had to work out a quick move. In fact we asked for more time and they arranged with the buyers a time that worked for everyone. When our moving company arrived late, Peter Wendel pitched in and helped make a difficult transition work. So they were hands on from beginning to end. - Sold a Single Family home in 2011 in Mid City West, Los Angeles, CA. I couldn't be happier with my experience with Nora and her husband Peter. They went beyond the normal protocol of a broker and became a friend. Use them. You will NOT be disappointed. "Extreme professionalism & excellent client rapport"
We have worked with Nora on several occasions, renting out a condominium we own, leasing our house, and then selling our house. I've also worked with her to find rental houses and apartments for the last six years. Having known Nora and Peter for several years now, I can attest to their extreme professionalism and excellent client rapport. They are attuned to the emotional aspects of buying/selling personal property, and do everything they can to make the transition smooth and painless. I have recommended them many times in the past.....and will continue to do so! Thank you so much for selling my property so darned well. You do excellent work, and I will certainly always come to you for property needs in the LA area, as well as recommend you to everyone who asks for a referral in the area. This was very stressful for me. You made it all work. I appreciate your professional acumen more than I can say.